With his nomination today, the Obama team jolted this blogger back into her native state of righteous indignation, and so Cappuccino springs back into action. Ironically, that rhetoric is among the least new things about him. It’s the argument that worked for Presidents Carter, Reagan and Clinton, and that’s just in recent history. Each of them campaigned as a Washington outsider, but where Carter and Clinton actually brought unseasoned folks into power, Reagan was just talking, and wisely re-employed all the old Nixon and Ford hands. If you’re a progressive like me, you probably didn’t like Reagan’s agenda, but you have to concede that he was able to push that agenda through. That’s because his staffers knew how to work the system. Carter brought a whole bunch of his buddies from Georgia in, and while his personal character, intellect and vision were fine when it came to finessing the U.S. image abroad or lending some good feeling to peace negotiations, on the domestic front (energy reform, anyone?) the approach was a giant flop. Clinton is the middle example: he came in with some friends from Arkansas, then found out they really weren’t up to the job the hard way. His party got walloped in the 1994 elections and by the following year, you had some older wiser hands running the Clinton show. Net result: success on big issues like welfare reform after some big staff reshuffles. Obama represents a more unpleasant kind of middle ground. He’s trying to have both the goodwill that comes from promising “change” and the success that comes from tapping experience by appointing experienced people (ahem a bunch of Clintonites), but putting them in charge of policy areas they have no experience with. Hillary Clinton, health care, women’s rights and childcare expert, is in charge of foreign policy. Bill Richardson, erstwhile Energy Secy, has been born again–briefly–as an authority on commerce. 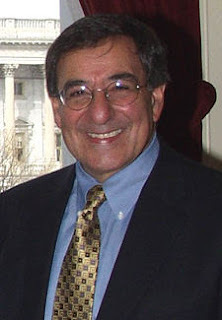 And now Leon Panetta, Washington inside-baseballer and person-to-person expert, has been charged with managing our national intelligence with the outside world. Oh brother. This is bound to create precisely the leadership structure Obama wants: each of these people will disregard their institutions and give the President direct advice on the issues they ACTUALLY know about, as individuals and friends. It will be character and idea based, and then 44 will call his own shots based on his relationships to those people and his assessment of their trustworthiness. Even if he wasn’t such a spring chicken, I’d be mildly alarmed by that. The most effective presidents call their own shots based on advice that comes to them from their deputies NOT as people but as representatives of A. specific policy arenas and B. specific government instutions–the Fed, the Pentagon, the Department of Labor, say. The advice itself then reflects the institutional judgment and memory of those bureaucracies and the seniormost advisors have the experience WITH THAT SPECIFIC AGENCY to squeeze the best intel out of it. This model isn’t romantic, for which reason the Obama folks won’t adopt it, and I seriously fear that the administration, the country, and the Democratic Party will pay for that audacity.